When Will and Kate visit Mission Hill Winery in Kelowna September 27, they will also experience a unique Okanagan program where chefs volunteer in local classrooms – including Predator Ridge’s Executive Chef Jeremy Luypen. Chefs in the Classroom – Edible Education was begun a year ago by the Okanagan Chefs Association who believed helping kids eat better was all about showing them where food comes from. Chef Luypen told Global News “We teach kids about the importance about eating local, growing their own vegetables, showing them what’s in season at different times and what they can eat and how easy it is to make a whole lot of food at home with their families”. Read more about the Duke and Duchess at Mission Hill Winery here. 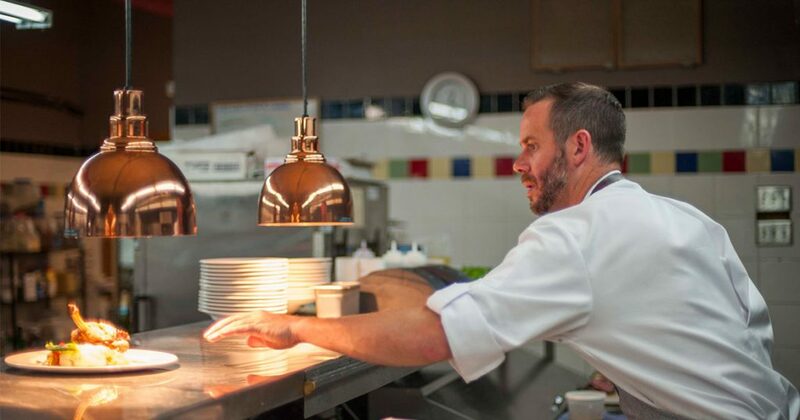 Chef Jeremy Luypen hard at work in the Predator Ridge kitchen.